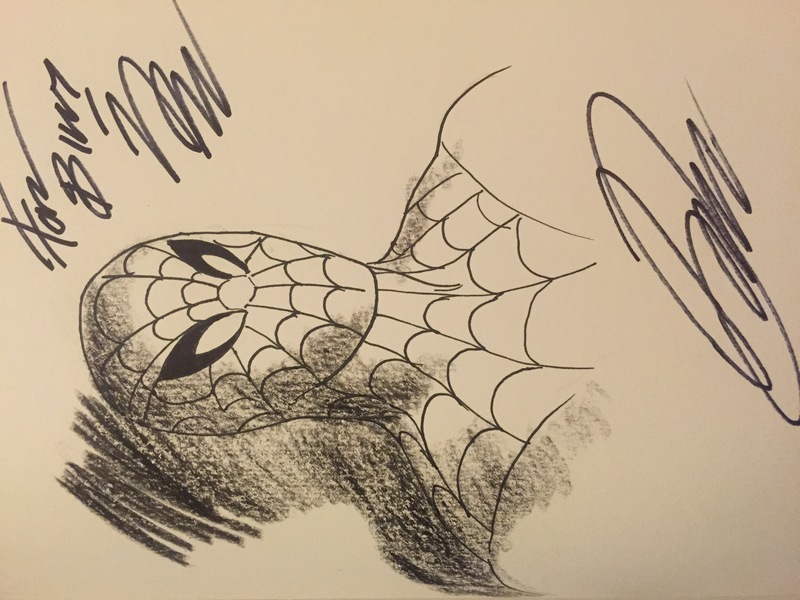 Anyone who has attended a comic book convention with me in the last decade and a half knows that my favorite thing to do at conventions is get sketches from my favorite artists. 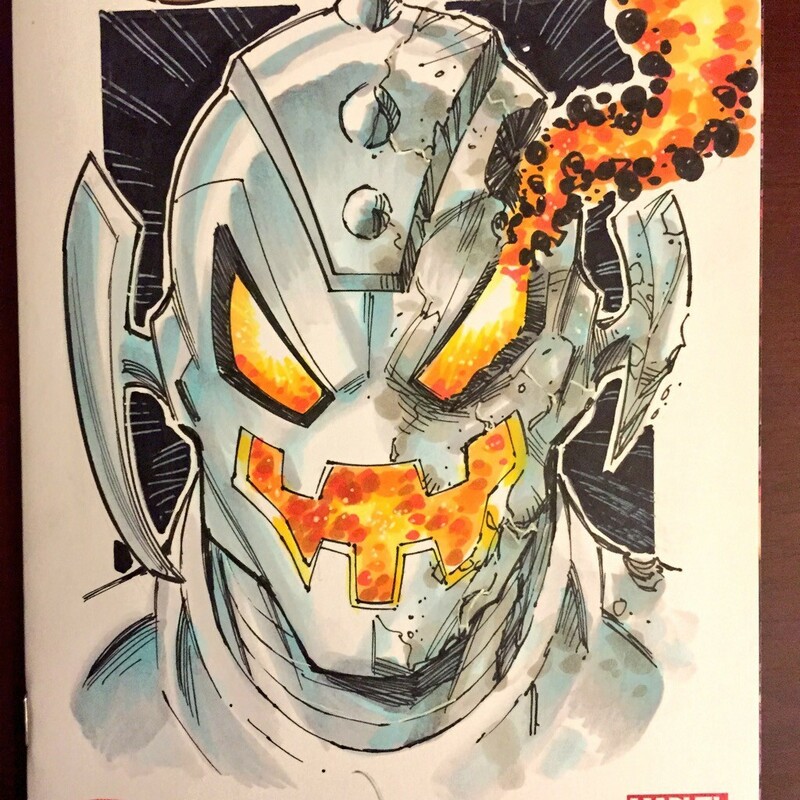 The recent blank sketch cover phenomenon is the best/worst thing to happen to me. It’s the best because I love them! How cool is it to get a one-of-a-kind cover drawn just for you on a comic? It’s the worst because I have WAY TOO MANY that are still blank. Between NYCC And SE:NYC, I can get maybe 2-4 sketch covers drawn on each convention, depending on time, price and artist availability. I have well over 30 blank sketch covers sitting in my apartment. That’s years of conventions to get them all illustrated, and that’s if I stop buying new ones cold turkey (Spoiler alert: That ain’t gonna happen). Anyone who has attended NYCC with me knows that I cannot let a NYCC go by without getting a sketch from Tood Nauck. I’ve been a fan of Todd’s since I first encountered his work in the late 90s on Young Justice (which is an awesome series that you need to track down and read). When Secret Wars: Age of Ultron vs Marvel Zombies #1 was released with a blank sketch variant, I broke my “No More Blank Sketch Covers” rule, because I knew exactly what I wanted on that cover and who I wanted to draw it. 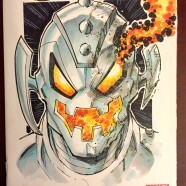 Half Ultron/Half Zombie Ultron in full color by Todd Nauck. Spider-Man is my all-time favorite superhero. I have a Spider-Man sketchbook that is, surprise, surprise, filled with sketches of Spider-Man. 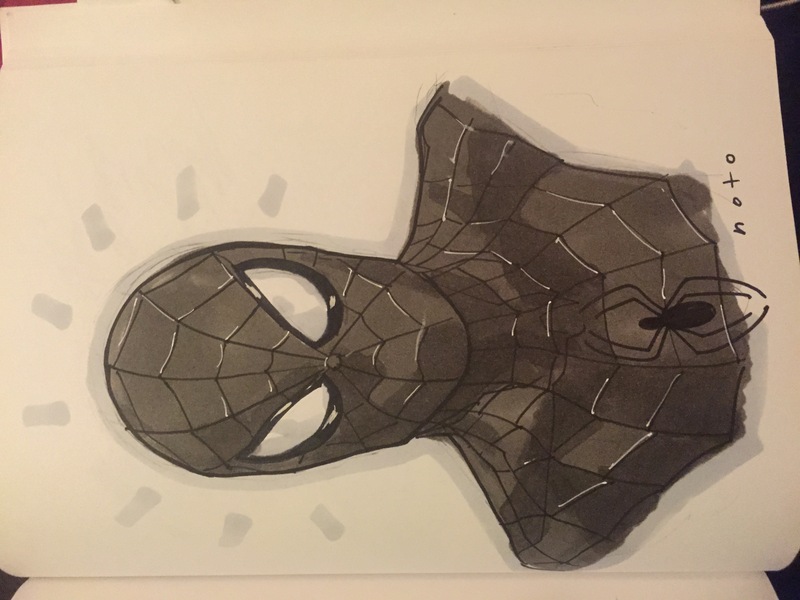 I have slowly been filling in the Spider-Man sketchbook since _______. It currently has ____ drawing of Spidey in it, including the four I added this year. At Special Edition: NYC this past year, I managed to get a sweet Spider-Gwen sketch on a Spider-Gwen #1 blank variant cover from Invincible artist, Ryan Otley. But what I really wanted was an Otley Spidey in my sketchbook. One problem – I left the sketchbook home that day. Thankfully, Ryan came back to NYC for NYCC and was doing sketches. Spider-Man sketchbook in hand, I walked away with this beauty this weekend. Do you follow Des Taylor on Instagram? Do yourself a favor and go follow him right now. My biggest regret about NYCC 2014 was being unable to find his table and get a sketch from him. His table was somewhere out on the show floor. I still have no clue where he was located. Thankfully, this year he was in Artist Alley and very easy to find. 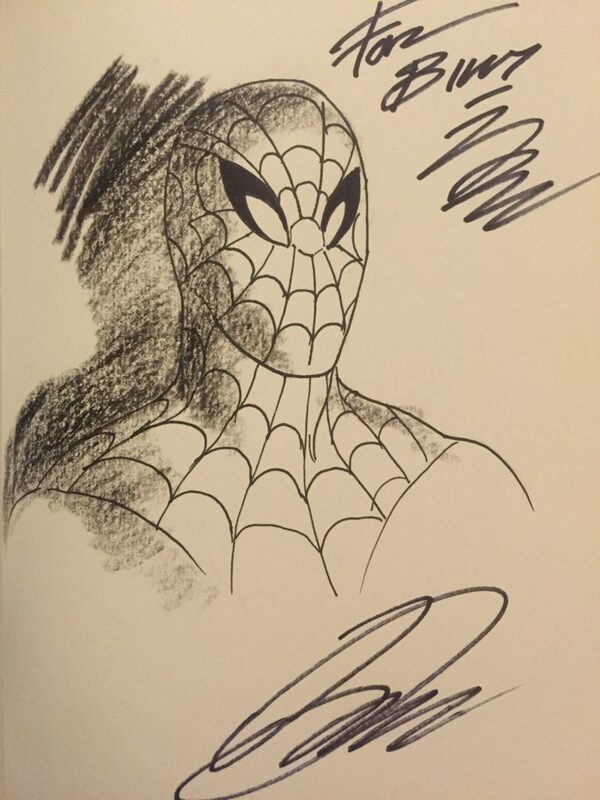 Check out this Spider-Man and MJ I commissioned from him. I love Phil Noto. 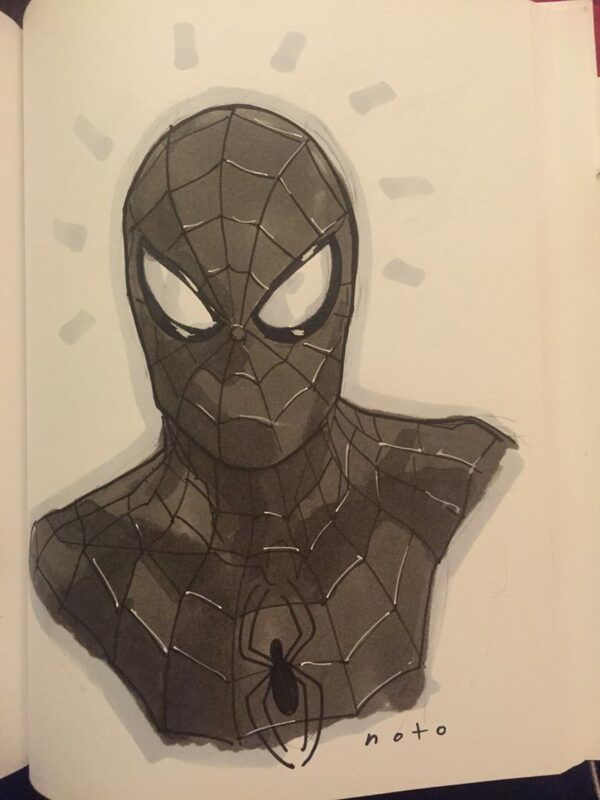 I have wanted a Phil Noto Spider-Man in my sketchbook for years. I kept missing out on getting a sketch from him, but on Saturday, I rushed right to his table in Artist Alley as soon as the doors opened, and was first in line for a sketch. Yesssss! I saw a friend in Artist Alley and said hi. He pointed down to the table in front of us and said David Lloyd was doing sketches for only $5. David Lloyd!!! David Lloyd is a legend! He’s the artist on V for Vendetta. Five bucks?!? I couldn’t pass this up. And now I have a David Lloyd Spider-Man in my book. 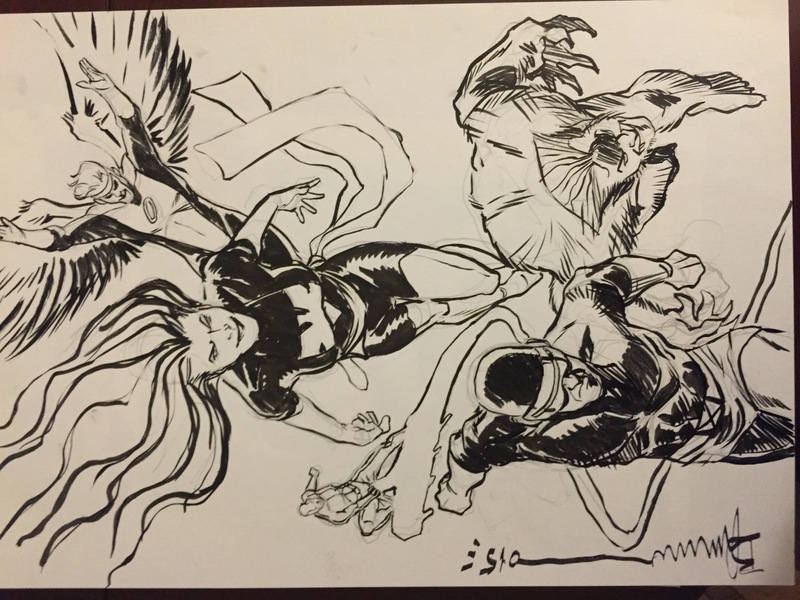 If you ever get the chance to get a sketch from Yanick Paquette, I highly recommend it. He doesn’t use pen and ink for his convention sketches, but rather paints gorgeous illustrations in watercolor. 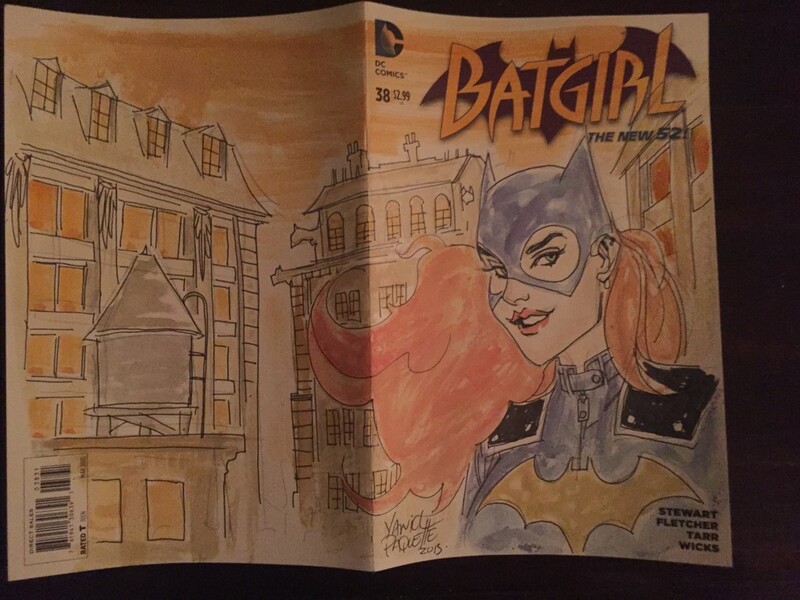 Here’s the Batgirl of Burnside I purchased from him on a blank Batgirl cover. When I first met Breno Tamura, he helped me stop an art theft from Ivan Reis and Joe Prado at NYCC 2012. I’ve been following his career since 2013, and man, like Des Taylor, he is another artist to follow in Instagram. His style has been evolving over the past few years, and it’s been a pleasure to watch his talent progress. DC and Marvel, HIRE THIS GUY! 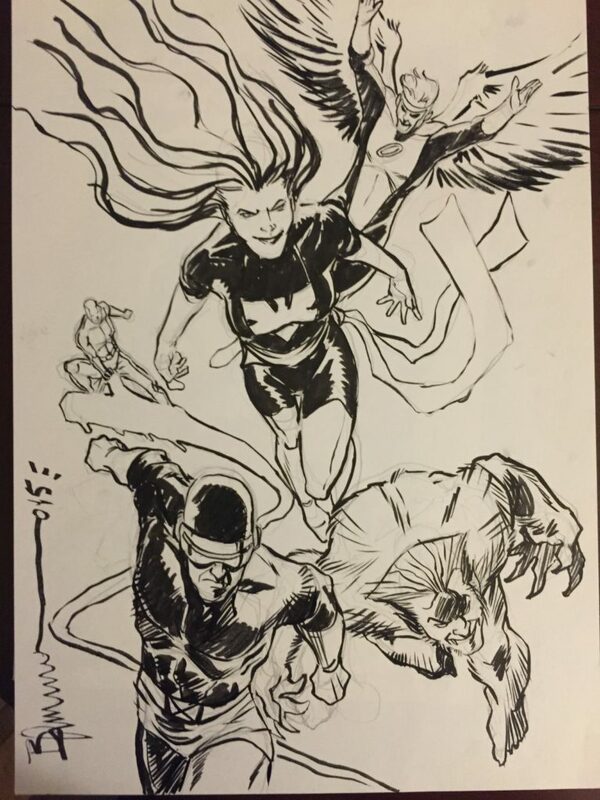 Here’s the 70s era original five X-Men sketch I bought from Breno this year. On top of these sketches, I scored a VERY sweet piece of original artwork at Saturday’s Charity Art Auction. I can’t wait for SE:NYC and NYCC in 2016 to see what sketches I’ll come home with then!